And Here I Thought A Shotgun Wedding Was a Good Time | Tuvalet Nerede? why didn’t we think of that pose? what a hoot! i love it! and the young uns are quite nice looking in all their finery too. 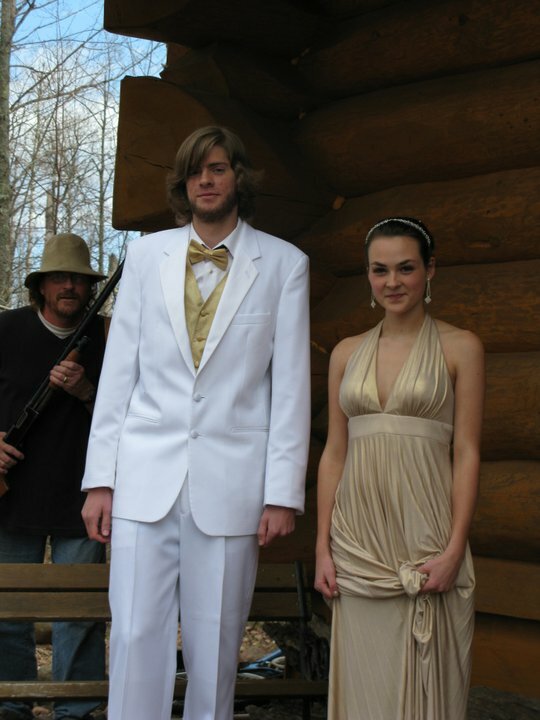 That is a prom pic NO ONE will forget. I just fell off my chair….I need to remember this one when Addie becomes of age.